They are 9 inches in diameter with three separate sections. The largest is almost one half of the plate while the two smaller sections are each about a quarter. 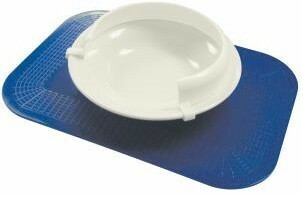 They will be great for side dishes such as fruit, vegetable, etc. 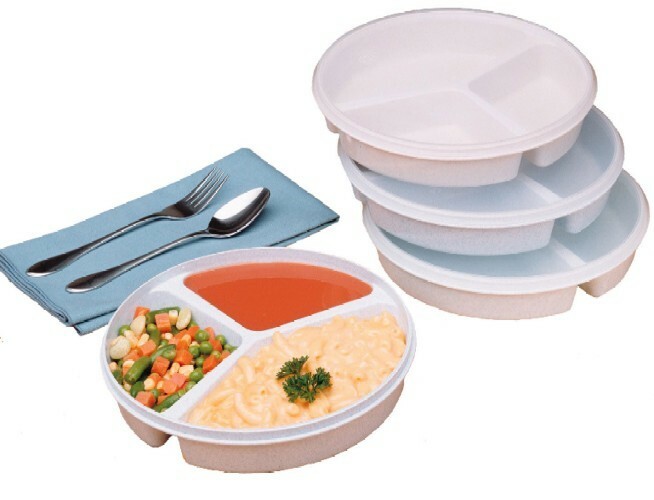 The lid will allow you to transport a meal, without spilling, to someone who is bedridden or otherwise unable to come to the table. Available in Sandstone or Red. 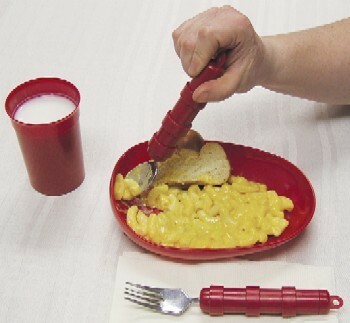 Redware Tableware is made especially for Alzheimer's patients and people with visual impairments. 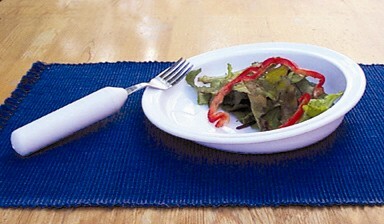 Red tableware addresses the problem of patient's inability to recognize contrast between colors. Some are unable to separate light colored food from light colored tableware, a problem that results in less food intake.